Rated 4.5 out of 5 stars.1495 total votes. 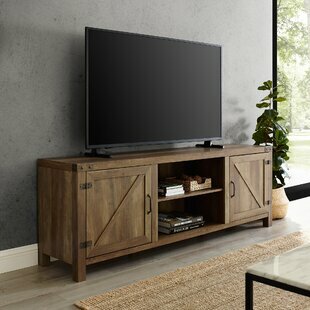 Crafted of manufactured wood in a rustic finish, this TV stand strikes a rectangular silhouette featuring chunky mouldings, X-frame panelling, and a simple plinth base with a cutout apron front. Set on a black barn door track, two doors slide open to reveal shelved storage for displaying tour cable box and entertainment console, or slide closed to reveal shelved storage for other essentials. Rated 4.5 out of 5 stars.2858 total votes. Rounding out your decor while providing sensible seating arrangements in small spaces, side chairs offer style and versatility to any interior design. 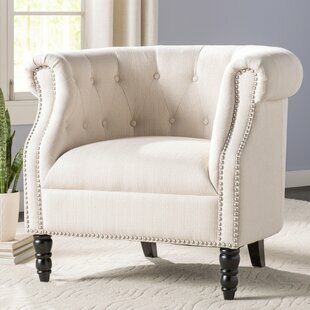 Take this one for example: The perfect pick for any traditional space, it showcases a barrel silhouette with scrolled arms and back while an elegant nailhead trim completes the look. Crafted from a wood frame awash in an espresso finish, it features solid-hued upholstery with button-tufted accents for added appeal. Rated 4.5 out of 5 stars.2279 total votes. 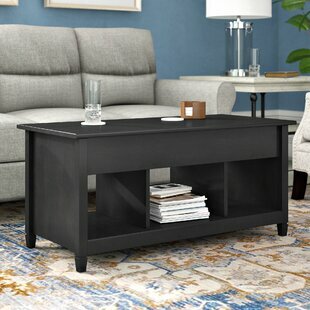 Add style and functionality to your living room ensemble with this lift-top, manufactured wood coffee table! The top lifts up and forward, creating a multipurpose work surface allowing you to easily work from home, surf the web, or eat a snack while relaxing on your couch. Other features include hidden storage beneath the top and open shelves, perfect for storing blankets and board games while still displaying knickknacks and picture frames. Orchard Hill TV Stand for TVs up to 70"
Rated 4.5 out of 5 stars.524 total votes. Rated 4.5 out of 5 stars.3201 total votes. Looking for a budget-friendly place to stash all your teen's favourite reads? This bookcase fits the bill! Measuring 69.75' ' H x 35.25' ' W x 13.25' ' D, its five shelves are adjustable, so you can find the perfect fit for your teen's novels, photos with friends, and other decorative objects. Made in the USA, its manufactured wood frame comes in a variety of neutral finishes perfect for blending in with any colour palette you pick. Rated 4.5 out of 5 stars.2406 total votes. 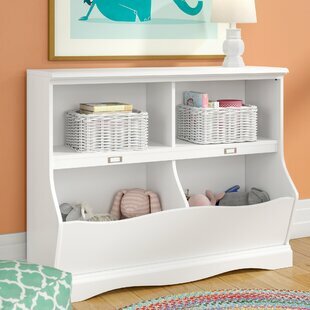 Encourage your tyke to keep their toys tidy with this compact bookcase. Made in the USA from manufactured wood, this budget-friendly piece measures 32.8' ' H x 41.1' ' W x 15.4' ' D overall and features four shelves (two of which have identification plates) that are perfect for housing tot-sized teddies, books, and beyond. A non-toxic white finish gives this design the versatility to coordinate with any colour palette your little one dreams up. Assembly is required. Overall Product Weight: 60 lb. Rated 4.5 out of 5 stars.2918 total votes. Compact powder room? Take advantage of the area around the john with this essential over-the-toilet cabinet! 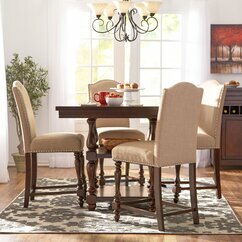 Made in the USA, this understated design is crafted from manufactured wood and features a neutral solid finish. Hand towels and toiletries will find a home with its two open shelves, two cubbies, and a knob pull-adorned cabinet, especially helpful for bathrooms with less storage space. Assembly is required for this 68'' H x 23.25'' W x 7.5'' D design. Rated 4.5 out of 5 stars.2114 total votes. 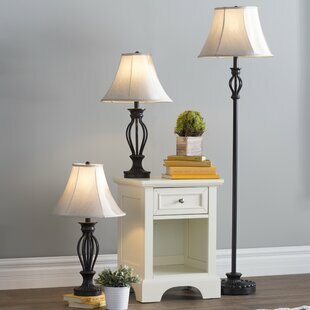 Illuminate your living room or master suite in cohesive traditional style with this three-piece Table and floor lamp set. 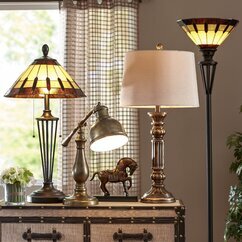 Crafted from metal in a blackened bronze finish, two 26” table lamps and a matching 60” floor lamp showcase turned column bodies and raised round pedestal bases with acanthus carved accents. Inspired by wrought ironwork, each piece is accented by bent metal bars for an elegant appearance, while matching beige fabric bell shades diffuse soft light throughout your space. Rated 4 out of 5 stars.863 total votes. Rated 5 out of 5 stars.399 total votes. Lend your living room layout a little modern farmhouse flair with this clean-lined coffee table. Made from manufactured wood, this piece features a rectangular top and an open lower tier that let you set down snacks, tuck away spare blankets, and beyond. A neutral wood grain stain outfits this table for an airy and understated look, while metal x-shaped accents and bracket corners round out the design with a dash of distinction. Assembly is required. Rated 4.5 out of 5 stars.2288 total votes. Rated 4.5 out of 5 stars.535 total votes. Rated 4.5 out of 5 stars.627 total votes. Display books, plants, and collected curios is rustic, industrial style with this floating shelf. Constructed using planks of solid pine wood, its light walnut stain shows off the wood’s unique characteristics and charm. Measuring 36" W x 10" D each, this shelf features a clean-lined rectangular backplate to affix to the wall. A flat surface provides a perfect platform for storage and display, while a 1" lipped edge helps keep the shelf’s contents secure. Individual Shelf Weight Capacity: 20 lb. Rated 4.5 out of 5 stars.767 total votes. Lend a nod to rustic style with this panel headboard, a perfect pick for your teen’s restful retreat. Its streamlined silhouette is augmented by recessed cross accents for a barn-door-inspired look, while wood grain detailing adds a natural touch. Crafted from manufactured wood, this design comes with steel hardware that make it easy to install on the bed frame of your choice. This essential piece is made in the USA. Overall Product Weight: 64.8 lb. Rated 4.5 out of 5 stars.724 total votes. With seating space for two and a hidden storage compartment below, this stylish and versatile Open-Top Wood Storage Bench is a must-have in any home. Pairing a metal frame with manufactured wood, this storage bench brings a touch of industrial appeal to your abode. Down below, a slatted bottom shelf provides space for storing anything from shoes to books and more. This piece is perfect for any entryway or hallway. Rated 4.5 out of 5 stars.575 total votes. Individual Shelf Weight Capacity: 40 lb. Rated 4.5 out of 5 stars.1701 total votes. Your sidekick in the kitchen, this cart can do it all. It's the perfect place to prep a big meal, offers room for friends to gather around for appetizers at cocktail parties, and even includes storage space for all your chef-worthy essentials. Made from solid and manufactured wood, it takes on a traditional appearance with moulded trim and panelling all finished in a solid tone. Then, a granite top adds classic contrast. Overall Product Weight: 160.5 lb. Rated 4.5 out of 5 stars.8247 total votes. Every bed’s closest companion, nightstands keep reading glasses and cups of water at arm’s reach while offering a finishing touch to your teen’s bedroom ensemble. Made from manufactured wood awash in a solid neutral finish, this one features clean lines and an understated silhouette. It includes one drawer with ball bearing glides and a lower open compartment for storing accent pieces, books, and bedside essentials. Tabletop Weight Capacity: 30 lb. Rated 5 out of 5 stars.1793 total votes. Whether you want to complete a contemporary ensemble or lend a touch of sleek style to a more traditional space, this 61" floor lamp is the perfect pick for your home. An updated twist on classic style, this lovely luminary will effortlessly update the look and illumination in a room. The sleek frame and swooped base of this lamp are finished with a brushed steel tone that contrasts with the white textured drum shade. Rated 5 out of 5 stars.461 total votes. Rated 4.5 out of 5 stars.2493 total votes. Crafted from solid wood with an espresso finish, its frame is founded atop four tapered legs connected by supports where you can rest your feet. The saddle seat is backless but offers comfort with foam padding and non-fussy faux leather upholstery. Assembly is required. Rated 4.5 out of 5 stars.2853 total votes. Whether used to complete homework assignments or for drafting a college admissions essay, this desk is a must-have for your teen’s space. Crafted from manufactured wood with solid wood veneers, it showcases a clean-lined silhouette and boasts a neutral finish for a look that complements nearly any colour palette. 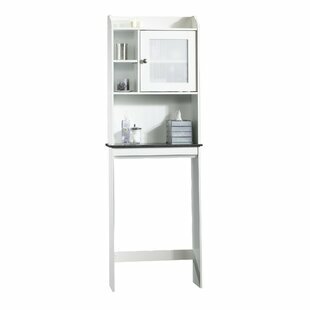 Plus, it includes a sliding keyboard tray as well as two drawers and one cabinet for keeping essentials at arm’s reach. Rated 4.5 out of 5 stars.2965 total votes. Tabletop Weight Capacity: 40 lb. Rated 4.5 out of 5 stars.2808 total votes. Rated 4.5 out of 5 stars.5301 total votes. For a storage solution that doesn’t skimp on style, may we direct you to this dresser? Understated in the way of traditional-made-modern pieces, its manufactured wood frame features tapered legs and clean lines that will elevate any contemporary master suite, while silver hardware rounds out the look. For storage, four drawers on smooth-glide rollers offer space to stow your sartorial selections, spare blankets, and beyond. Plus, it comes backed by a five-year warranty. Rated 4.5 out of 5 stars.895 total votes. Is your bathroom short on square footage? This over the toilet storage unit could be just the answer to save floor space, otherwise taken by larger storage options, while also providing you with space to store crisp hand towels, toiletries, cleaning supplies, and more. This traditional unit measures a narrow 63.75'' H x 27.36'' W x 9.25'' D. It is crafted from manufactured wood, and features one exterior shelf, and one two-door cabinet. Full assembly is required upon arrival. Overall Product Weight: 39 lb. Rated 4.5 out of 5 stars.14371 total votes. The headboard that beds have been dreaming of, this classic design rounds out your bedroom ensemble in style. 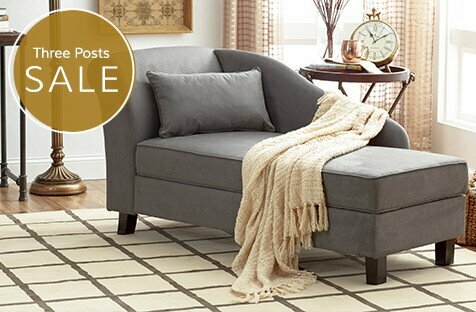 Its subtle camelback silhouette and deep diamond tufting give this piece its traditional inspiration, while polyester blend upholstery and foam padding provide a cozy backrest for nightly reading and TV watching. This headboard features pre-drilled holes for mounting bed frames (hardware included), and its finished back protects your wall from scratches. Rated 4.5 out of 5 stars.147 total votes. Illuminate the heart of your home in modern farmhouse style with this five-light kitchen island pendant. Crafted of metal in a handsome oil rubbed bronze finish, this design features five jar-inspired glass shades suspended by lengths of black wire from a clean-lined rectangular beam. Inside each jar shade, a 60 W torpedo Edison bulb spreads bright light throughout your space. Rounding out the design, a length of downrod suspends the unit from a clean-lined square canopy above. Rated 4.5 out of 5 stars.574 total votes. This traditional Hedon Kitchen Cart is the perfect pick to create space in the middle of your kitchen. 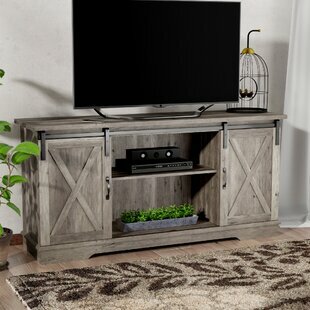 Made from manufactured wood, its neutral finish and solid, natural wood top give this piece a versatile look, while its raised panels and silver hardware add a touch of artful appeal. More than just stylish, this cart features two drawers, a spice rack, towel racks, and four cabinets. Rated 4.5 out of 5 stars.3225 total votes. 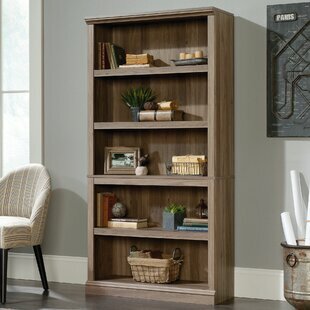 Crafted in a classic yet simple design, this ladder bookcase finds its place in any room of the house. It features five shelves with open back panels that offer plenty of space for plants, collectibles, and books. 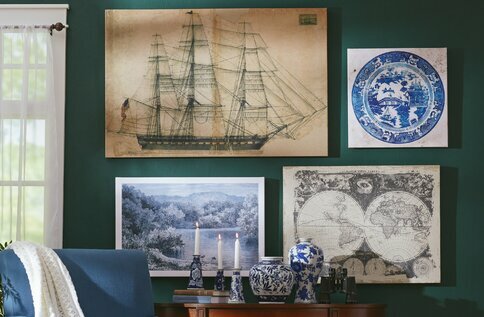 Whether this piece is destined for the living room or home office, it cuts an attractive and practical figure. 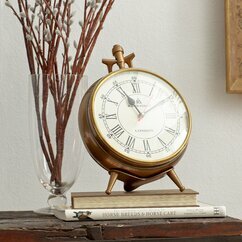 Made from manufactured wood, it measures 72'' H and makes a handy addition to any room in your abode. Rated 4.5 out of 5 stars.2822 total votes. Rated 4.5 out of 5 stars.599 total votes. Lend a splash of sleek style to any arrangement in your home with this Poulson 28" Table Lamp, a budget-friendly luminary that arrives in a set of two. Founded atop an understated brushed steel base, this fixture features a cylindrical glass body that provides a clear view at a metal rod within, giving it an open and airy look. An empire-shaped shade up above completes the design, diffusing the light from its 100W bulb (not included) throughout your space. Rated 4.5 out of 5 stars.1118 total votes. Rated 4.5 out of 5 stars.2557 total votes. Rated 4.5 out of 5 stars.318 total votes. If you want to have good dreams, it starts with a good bed – and if you’re still looking for the right one, this product is here to help. Crafted from rubberwood, it arrives with a slat kit included, saving you a trip to the store. Upholstered in button-tufted fabric for an inviting feel, the headboard boasts nailhead trim on its winged silhouette, while its neutral hue blends with a variety of colour schemes. After assembly, it accommodates any queen-size mattress (not included). Overall Product Weight: 99.54 lb. Rated 4.5 out of 5 stars.559 total votes. Spruce up an unused corner of the master suite or round out your seating group with this transitional arm chair, equally at home in classic and contemporary aesthetics. Founded atop four straight legs that support up to 250 lbs., this piece’s manufactured wood frame strikes a clean-lined silhouette with swooping arms. Solid-hued polyester-blend upholstery envelops the design for an understated look, while button-tufted details dot the back and seat for a tasteful touch of texture. Rated 4 out of 5 stars.378 total votes. Sitting at the perfect height for kitchen islands, breakfast bars, and pub tables, bar stools have a leg up on other seating options. Take this bar stool for example: perfectly suited for your traditional home’s kitchen counter, this chair features a square full back, faux leather upholstery, gold-hued nail head trim, and a built-in footrest. The frame of this bar stool is crafted from solid wood. It requires assembly upon arrival. Rated 4.5 out of 5 stars.2086 total votes. Set it beside the sofa or tuck it in a reading nook to see just how handy this end table can be! With its warm, modest design and space to stash essentials, it’s a must-have for any ensemble. Crafted from manufactured wood, it showcases tapered legs and two open shelves perfect for staging potted plants, books, and decorative accents, while a single drawer makes room for small-scale necessities in the master suite or living room. Rated 4 out of 5 stars.141 total votes. Rated 4.5 out of 5 stars.372 total votes. Rated 4.5 out of 5 stars.45 total votes. Rated 4 out of 5 stars.1026 total votes. Rated 4.5 out of 5 stars.526 total votes. Rated 5 out of 5 stars.354 total votes. Perfect centred over sprawling dining tables and breakfast bars, this glittering five-light chandelier brings sparkle to your well-appointed spaces. Faceted crystal details cascade down, drawing the eye of your guests, while an iron base provides a clean, tailored edge on top. This adjustable design has a minimum hanging length of 30" , so make sure there's plenty of headway prior to installation. This chandelier is compatible with both dimmer switches and vaulted ceiling. Rated 4 out of 5 stars.4566 total votes. Combining utility with minimalist design, this dresser focuses on function while weaving subtle details into its design. Made in the USA from manufactured wood, its panelling accents, cup pulls and tapered legs recall the charm of humble Shaker pieces, while six drawers offer space to stash linens, sartorial selections, and anything else you want out of sight but close at hand. A restraint device is included to prevent it from tipping over. Mirabel TV Stand for TVs up to 40"
Rated 4 out of 5 stars.2342 total votes. Make streaming seasons of your favourite shows from your flat-screen even better by perching it atop this 39.3" TV stand. 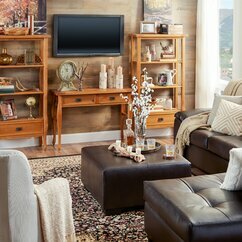 Made in the USA, this piece is crafted from manufactured wood and boasts two open shelves and a two-door cabinet, providing plenty of space for a DVD player and a collection of movies, while cable management cutouts help to corral cords. More than functional, this clean-lined stand sports an oiled oak finish, offering a warm and rustic look to your sitting room. Rated 4.5 out of 5 stars.105 total votes. Rated 4.5 out of 5 stars.1621 total votes. 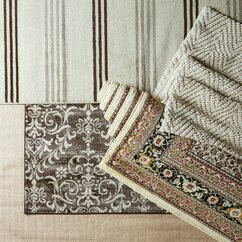 Dreaming up a new look for your master suite or guest room? Wake up – this eight-piece comforter set is a perfect pick! This set outfits your bed in style from top to bottom. Its jacquard floral details brim with eye-catching texture, while the neutral sand hue keeps it calm and cozy. For general upkeep, each piece can be added to your next wash cycle.